The premise for author Kady Cross’s Sisters of Blood and Spirit had me intrigued. 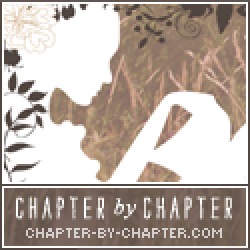 A pair of twin sisters, one stillborn and the other living? One sister who can see the other? A story involving the paranormal and the threat of a big bad lurking nearby? It sounded like my cup of tea and I was interested in getting started. Though I can say that Sisters of Blood and Spirit wasn’t at all what I expected or imagined it to be. It reminded me a lot of author Jeri Smith-Ready’s Shade series with additional high school drama, more teenage antics and a lot less steamy situations. In Sisters of Blood and Spirit Wren Noble was stillborn and as a result has been living in the Shadow Lands. Her twin sister, Lark Noble, was born alive and has always seen her sister Wren growing by her side. The only catch? Nobody else sees her. Growing up with people assuming she’s insane for talking to her ‘dead’ sister, Lark attempts taking her own life so that she might join her sister in the Shadow Lands. However when her life is saved, she finds herself exiting the psyche ward and moving in with her grandmother. Returning to high school, Lark and Wren encounter the boy who saved Lark’s life and are faced with a new threat that only they can help stop: a nasty, big bad ghost with dark intentions in mind. The concept for Sisters of Blood and Spirit was very unique. Right off the bat we are introduced to a very innovative take on ‘possession’ where Wren can take over Lark’s body. It was pretty cool. Wren in Lark’s body is incredibly strong and powerful and only when she’s inside of Lark’s body can she truly feel things. It was intriguing and that alone reeled me in to figure out more about what Sisters of Blood and Spirit was about. Cross’s writing switches between the point of views of both Wren and Lark. I will say that this definitely disturbed my experience with the novel. It was incredibly difficult to differentiate between Lark and Wren’s characters in spite of the changes in POV being labeled clearly with their names. In spite of both sisters being twins and supposedly different, their narratives held no contrasts and had me getting confused frequently. It made it difficult to put the novel down and come back to it with no idea of just whose head I was in. I found that while reading the novel the majority of the more frightening scenes weren’t as disturbing as they were campy. Continually throughout Sisters of Blood and Spirit there were a lot of ‘Scooby Doo’ type situations involving both Wren and Lark and the cast of secondary characters. Personally, I found the more gritty/edgy scenes involving our two protagonists and their big bad ghost to be something that younger teen audiences might find daunting. As a teen reading the novel, I did find the realism to be lacking (or as much as it can in a novel about the paranormal) in terms of Lark’s character and Ben, Mace, Roxi and the rest of their little gang. For a group of teenagers their way of speaking and mannerisms just felt awkward and forced. The romance in the novel felt unnecessary as well as a reader who was hoping to get to more of the ghost hunting/Supernatural aspects of the plot. I would recommend this novel to younger readers who are looking for a novel to test the YA waters with. 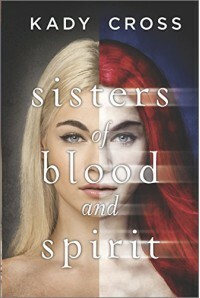 Readers who want a read that deals with ghosts, teen drama and unique concepts should definitely give Sisters of Blood and Spirit a read.